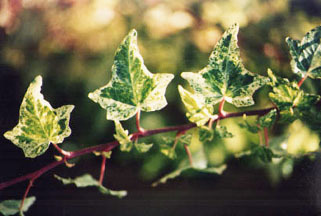 Hedera helix 'Alten Brucken'(V, I) This German-1983. 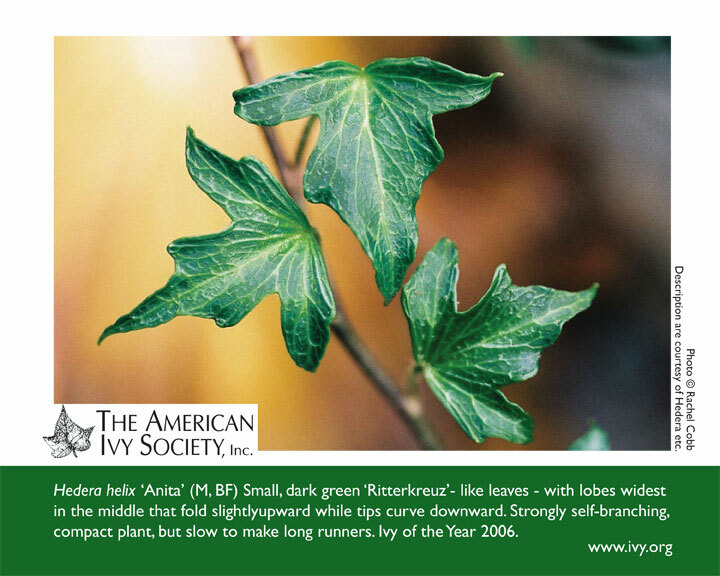 One must see this ivy in early spring,when the new growth comes out to truly appreciate it. 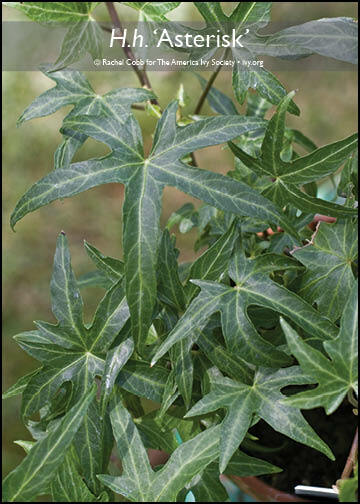 Leaves three to barely five lobed with a cordate base, and an elon. 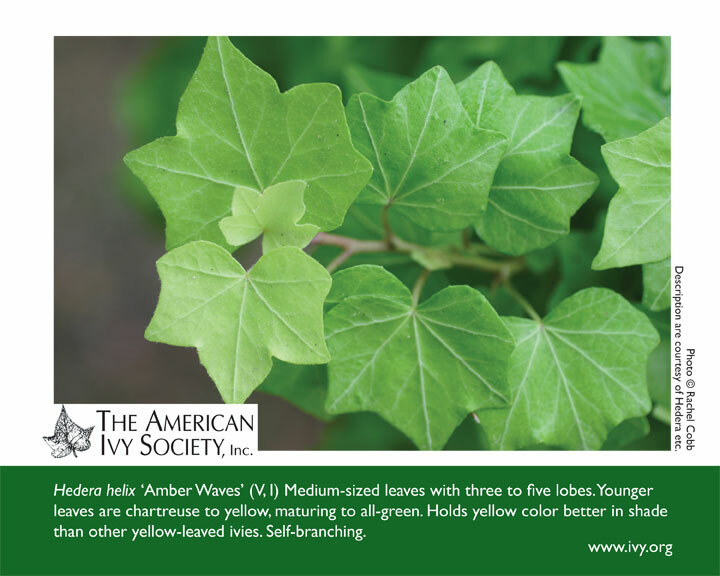 Hedera helix 'Amber Waves' (V, I) Medium-sized leaves with three to five lobes. 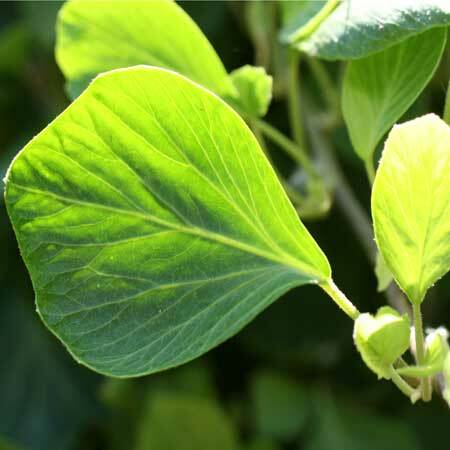 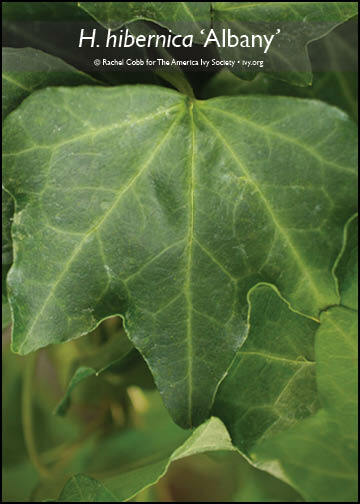 Younger leaves are chartreuse to yellow, maturing to all-green. 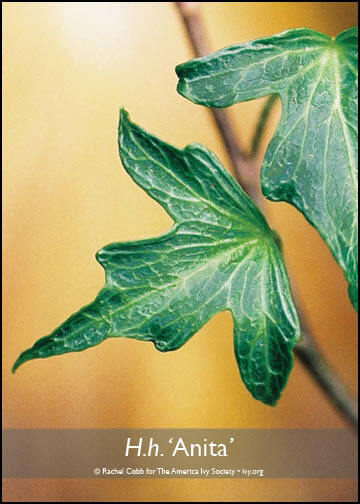 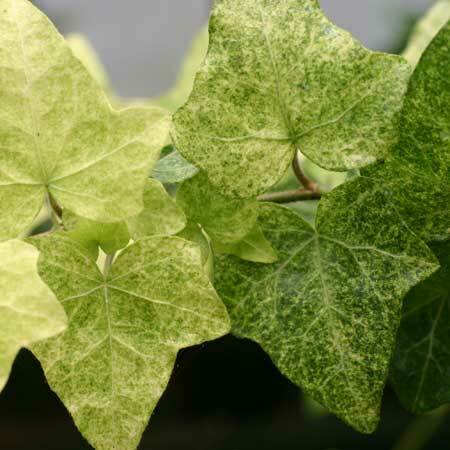 Holds yellow color better in shade than other yellow-leaved ivies. 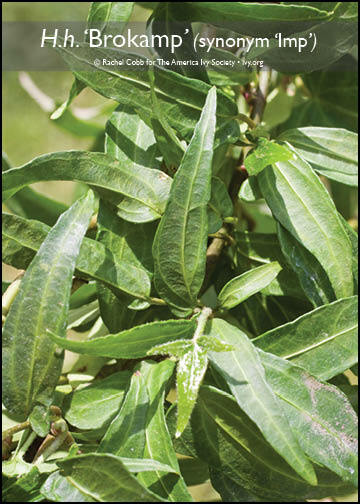 Self-branching. 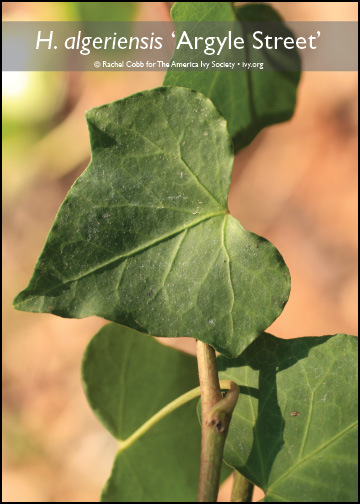 Hedera helix 'Asterisk' (BF) Five to seven narrow lobes,self-branching. 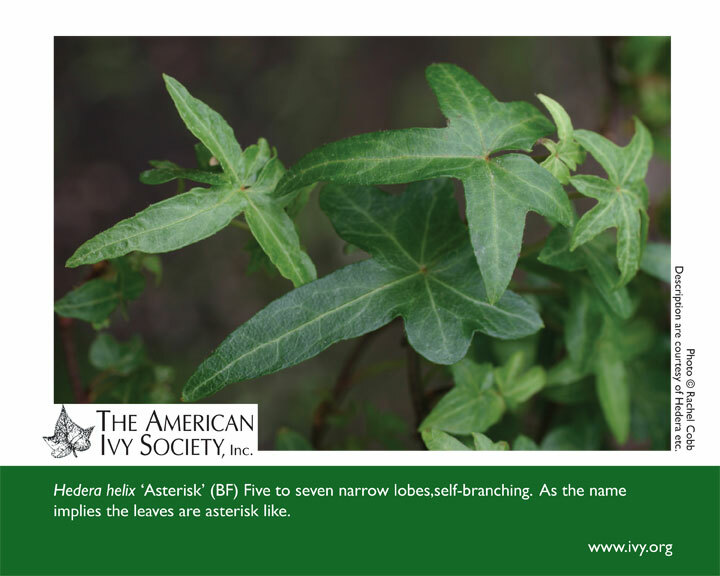 As the name implies the leaves are asterisk like. 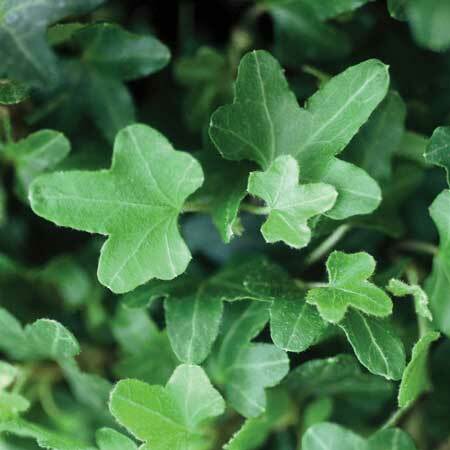 Hedera helix 'Ballet' (V) Small oval leaves, almost the shape of ballet shoes. 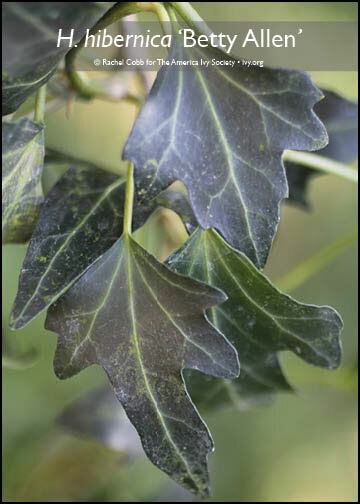 Grey green centre cream edge. 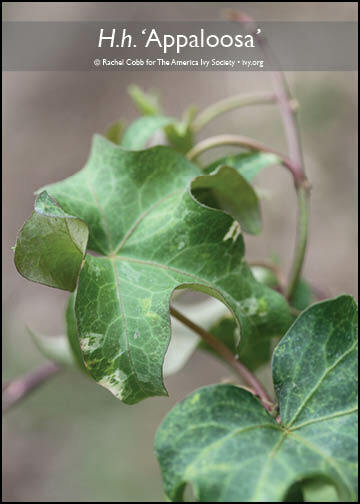 Hedera helix 'Boskoop' (C, F) This sport of 'Green Ripple', has small, dark green, shiny leaves. 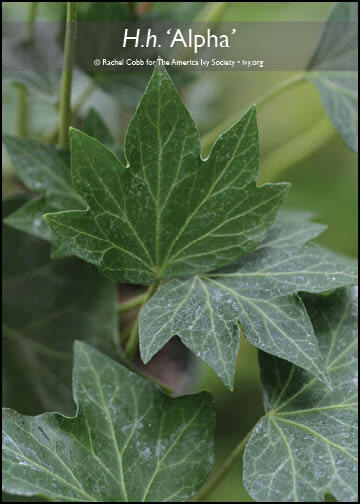 One to three-lobed, diamond-shaped, with a frilled edge. 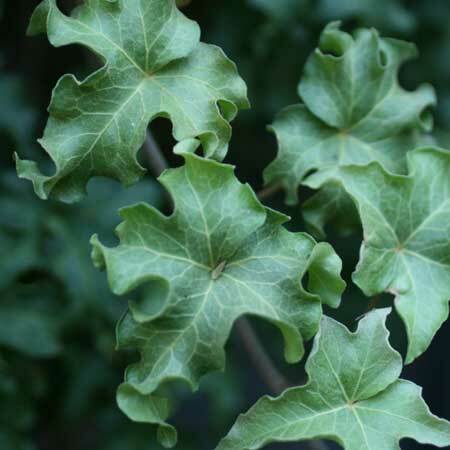 Hedera helix 'California Fan' (F, C) Leaves with 5 to 7 forward-pointing, shallow but broad lobes of similar size with a curl in sinus between the lobes. 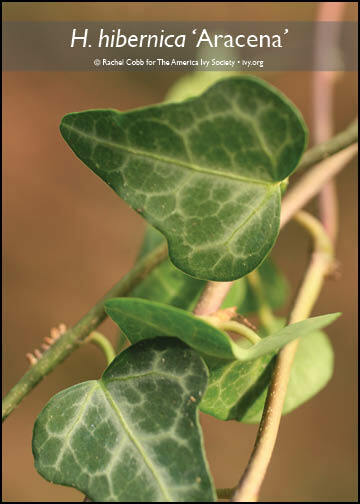 Leaf bases strongly wedge-shaped. 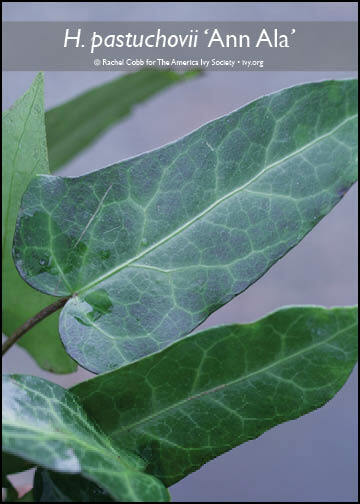 Veins conspicuous. 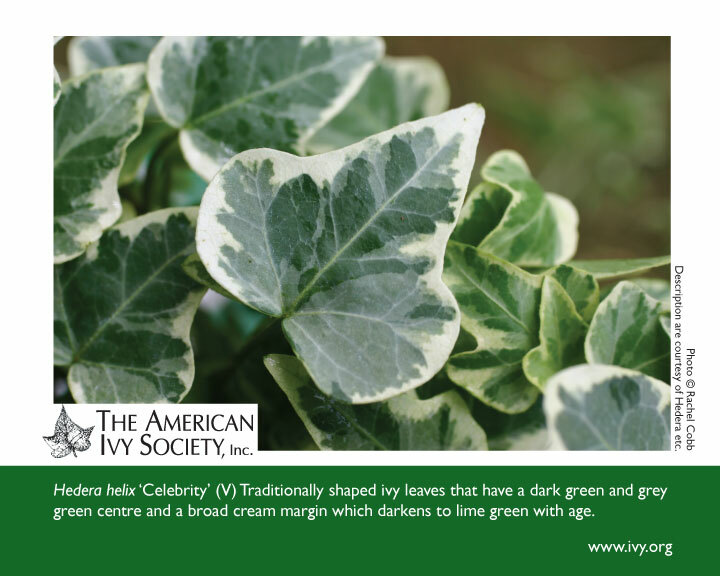 Hedera helix 'Celebrity' (V) Traditionally shaped ivy leaves that have a dark green and grey green centre and a broad cream margin which darkens to lime green with age. 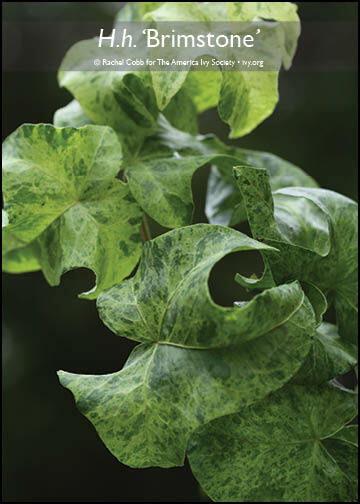 Hedera helix 'Cockleshell' (F) Circular leaves with broad forward-pointing lobes which cup upward in new growth and downward in older leaves. 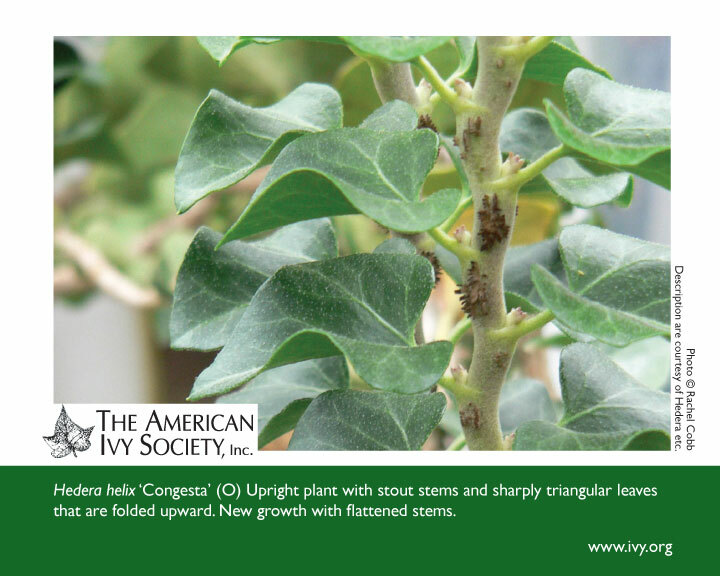 Hedera helix 'Congesta' (O) Upright plant with stout stems and sharply triangular leaves that are folded upward. 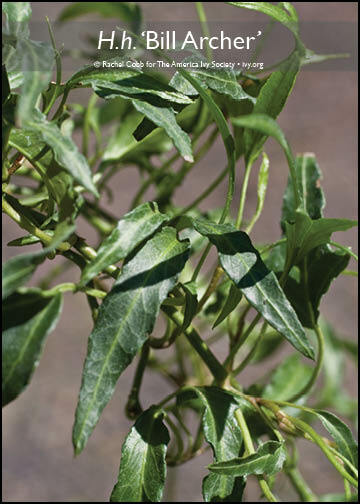 New growth with flattened stems. 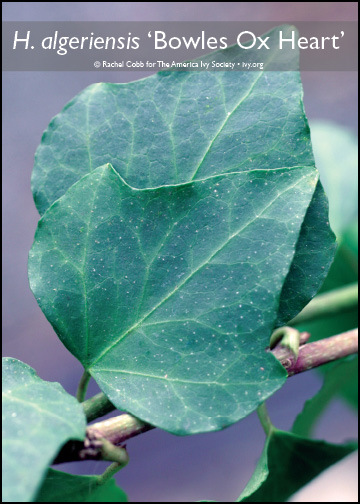 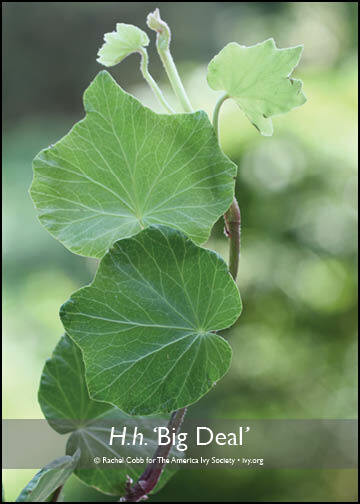 Hedera helix 'Duck Foot' (M, BF) Leaves small, with three rounded lobes. 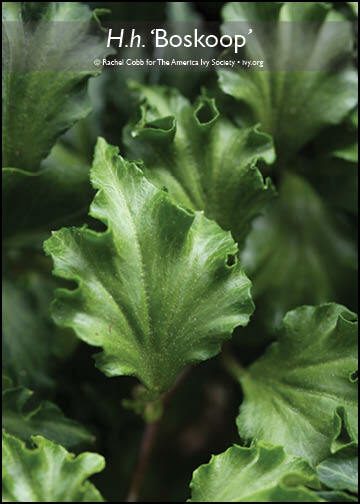 Compact and self-branching plant. 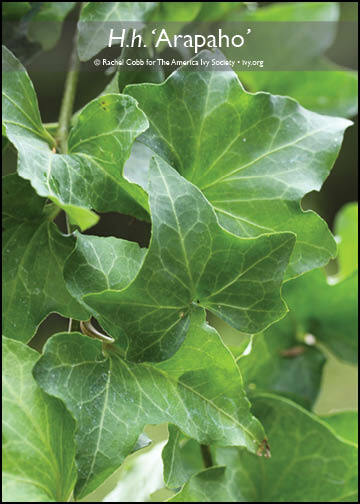 Hedera helix 'Dragon Claw' (C) Large leaves with broad lobes and tightly fluted marges. 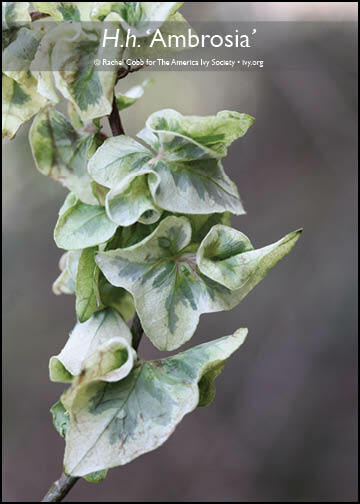 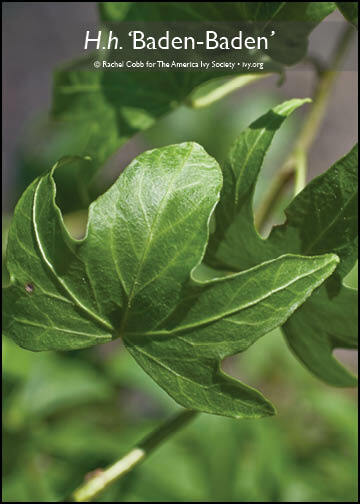 Hedera helix 'Elegantissima' (V) Leaves sharply three-lobed,with a wide,white margin,and a green-gray center. 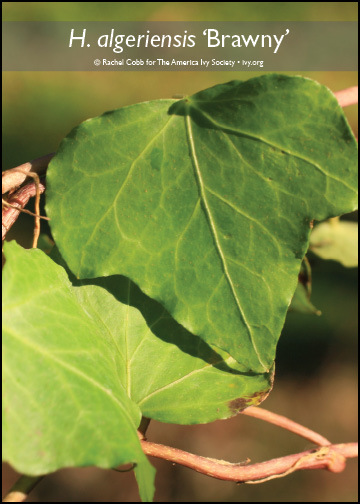 Margin of leaf has a pink tint which become more intense during cool temperatures. 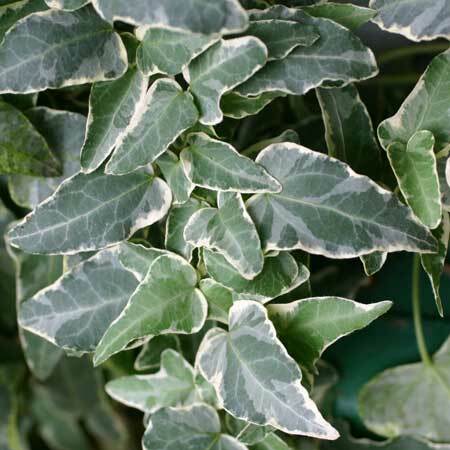 Hedera helix 'Eva' (V, BF) One of the 'Variegated Needlepoint' ivies of the trade. 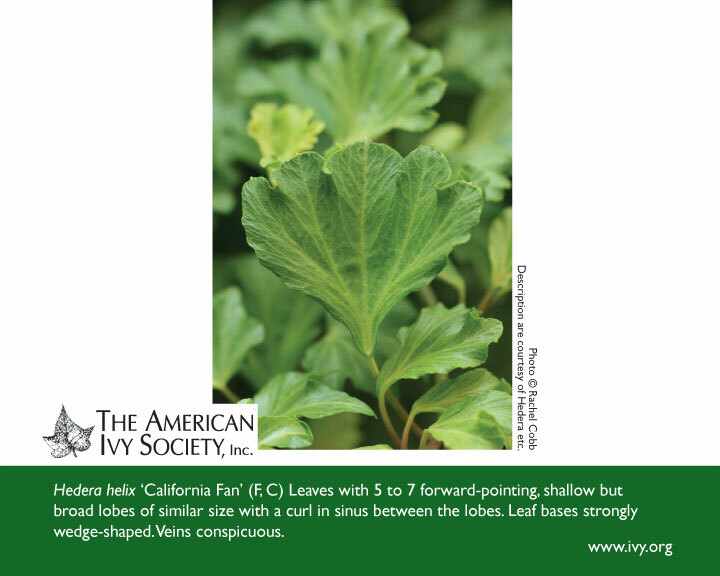 Leaves with three forward pointing lobes, terminal lobe up to twice the length of laterals. 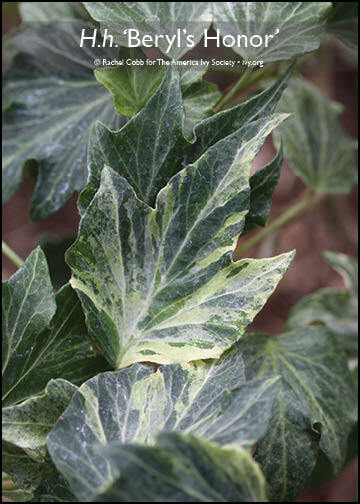 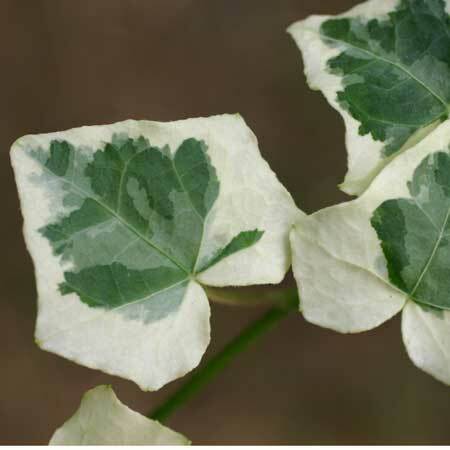 Variegation a gray-green, irregular center with a creamy-white margin. 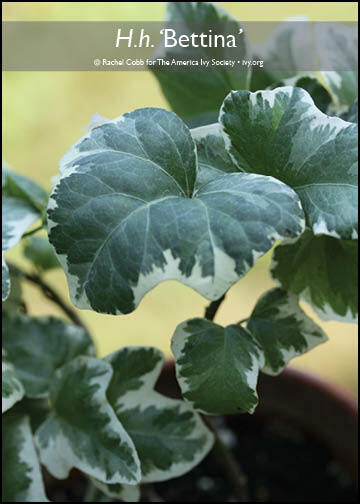 Needs good light for best variegation. 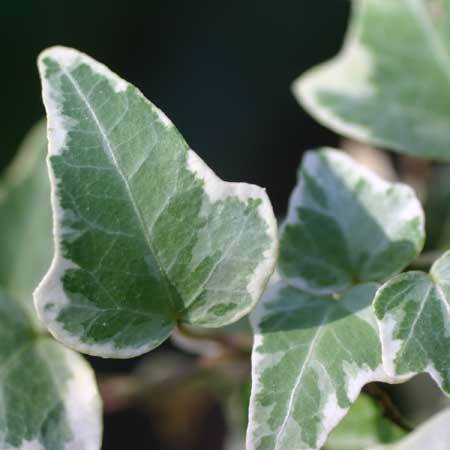 Hedera helix 'Fantasia' (V) White and green speckled leaves with conspicuous white markings on the main veins.